Add information about contacts including their nicknames, birthday, and the names of their spouses and children. This information is only viewable on your computer. Click People at the bottom of the left pane. 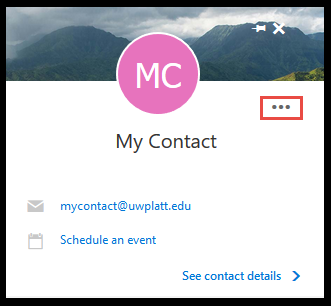 In the main pane, scroll all the way down until you see All Contacts. Select the View the full List option. Find and select the contact you would like to edit. Select the More actions button as shown below. This appears as a row of 3 dots. 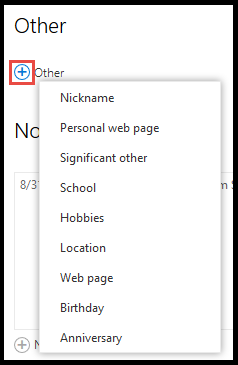 In the new pane, scroll to the bottom and locate the Other category. Click on the Plus to see the options. Select the information that you would like to add about your contact.